iTN Worldwide is an international global logistics freight forwarder. Our industry is seen as brick and mortar. We have pallets, freight, and big, strong, muscle-bound men, but interestingly enough 70 percent of our staff is led by women. Our company is glam – we don’t look like a forwarder- we’re shiny, different, and we love that. When you look at our staff no two people look alike, we make a wonderful soup. We love diversity and encourage our team to feel freedom and power in being themselves because it creates an environment where they will excel to their maximum. At iTN Worldwide we like to think of ourselves as the silicone valley of freight forwarders. We’re all about our company culture and recruiting people that add to the soup. Different ingredients, flavors, spices all in a harmonious blend. Although we pride ourselves on our service and commitment to our clients, colleagues, and partners a primary factor in our success is our team. The team is the culture and the foundation at iTN Worldwide and the reason for our success, but it wasn’t always this way. 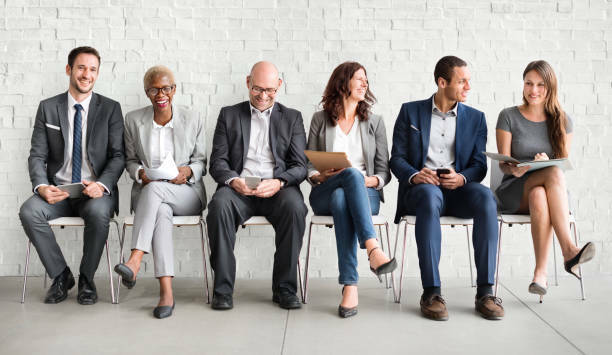 Some would call the interview process alternative and edgy, but candidates now are more open to a different hiring process that has more context and depth and is more profound than a CV. As part of the process, other department supervisors join for a meet-and-greet style interview including our COO Daniel Grimes. The process may be unexpected for the freight forwarding world, but allow the iTN team to see the human side of the candidate. The interviewees also sit on the famed “black ball” a round black ergonomic chair, iconic in the office as part of the interview process. iTN Worldwide has a different approach to interviews. We’re not looking for a resume here. The purpose is to understand what makes someone tick. If candidates respond with their resume we’ll re-direct them so they can answer with depth. It’s a straightforward question we use to bring out the human element and put the person at ease. What would your family or someone you love say about you? This question allows for candidates to let their guard down and talk about matters of the heart. At the same time, teammates share stories of their families and create unity and commonalities among the potential candidates and the hiring team. This question gets candidates thinking about who they truly are. We also note they relax their defenses allowing us to approach authenticity with the interviewee. Tell us about a recent moment you’re most proud of. People will often talk about personal goals they have accomplished. Some candidates have talked about getting back into fitness; others talk about personal goals like starting a family or owning a home and others talk about a much-needed relaxation day. Whatever it is, this question allows the team to see what candidates hold close to their heart and what their values might be. If this were a perfect world what would you be doing? Please don’t tell us that the perfect job is the one you’re applying for. Tell us about your dreams and your motivations. This question helps us find out if we can create an environment for the candidate where they feel incentive and build potential for growth. Reveal something about yourself that you wouldn’t imagine telling strangers. We’re not expecting a deep dark secret, but by the time we get to this question we’re trying to test the comfort of the person and see is they’re speaking openly and sincerely and if they’re comfortable connecting themselves to us. Out of all of the questions, this one is the one that stuns most candidates. It’s not every day people are prepared with an anecdote they feel comfortable sharing with a group of strangers. We find that people often share stories of accomplishments only they’ve been a witness to. Other times people will share personal stories of growth or pain, but no matter what it is, the emotional replies connect everyone in the room. After you leave this interview what would you like us to remember about you? We ask the candidate to imagine the drive home from the interview, what would they tell someone about our interview process? For this question, we hope to get feedback from them and it allows us to see how they perceived the experience to be. What impression would you like to leave with us? Or what word do you think we would use to describe you? This question allows candidates to clarify points made, highlight the perception we have of them and reiterate who they are generally leading to their legacy and professionalism. They’ll often combine their skills and best traits and remind everyone in the room who they are. It’s a great closing question and an excellent way to leave a strong impression determining if they’re a cultural fit for us, but more importantly, does our quirky environment fit them? These questions combined with a preliminary interview on the skills the candidates possess allow for a wholesome interview process. Soft and hard skills are necessary, but character and emotional intelligence are part of the essence of iTN Worldwide. Daniel Grimes is the COO of iTN Worldwide. His specialties include Start-Up, Build-up and Turnaround, P&L Management and Supply Chain Management. He’s a results-driven team leader and architect of strategy with a talent for communicating a vision and building a business through the development of leadership amongst colleagues. Grimes is a proud son, brother, husband, and father of two.